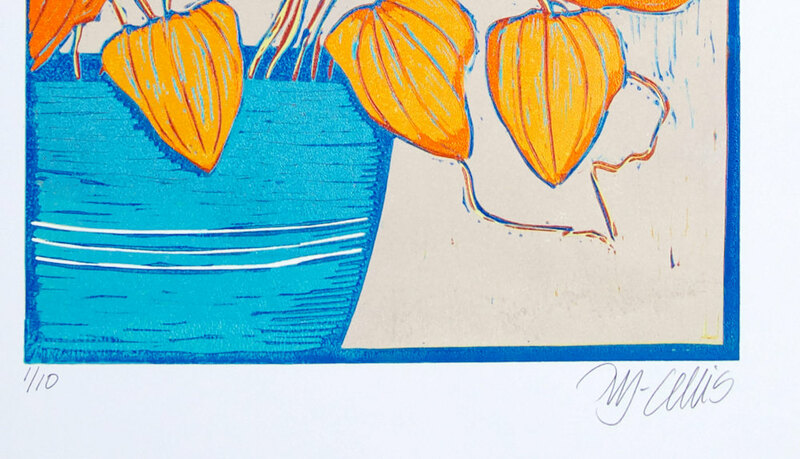 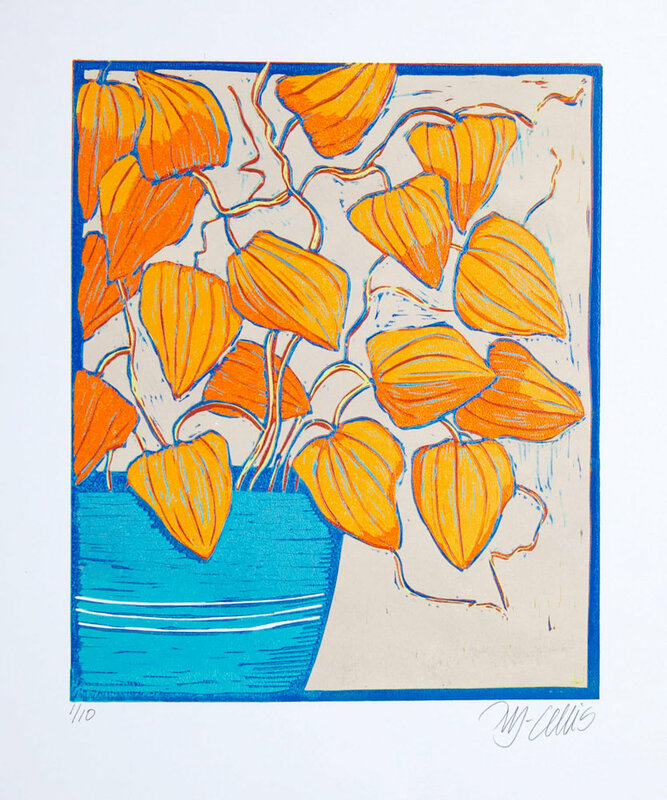 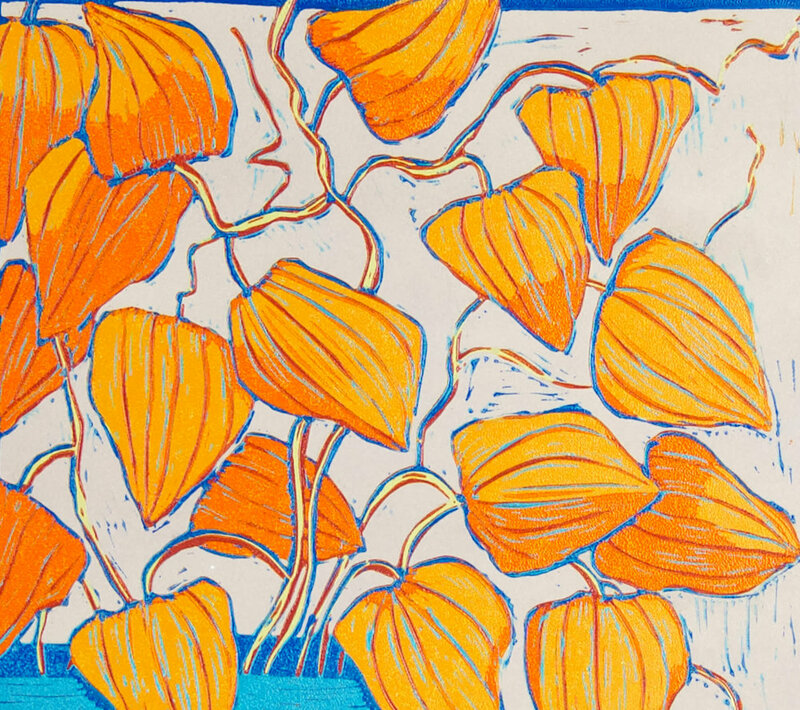 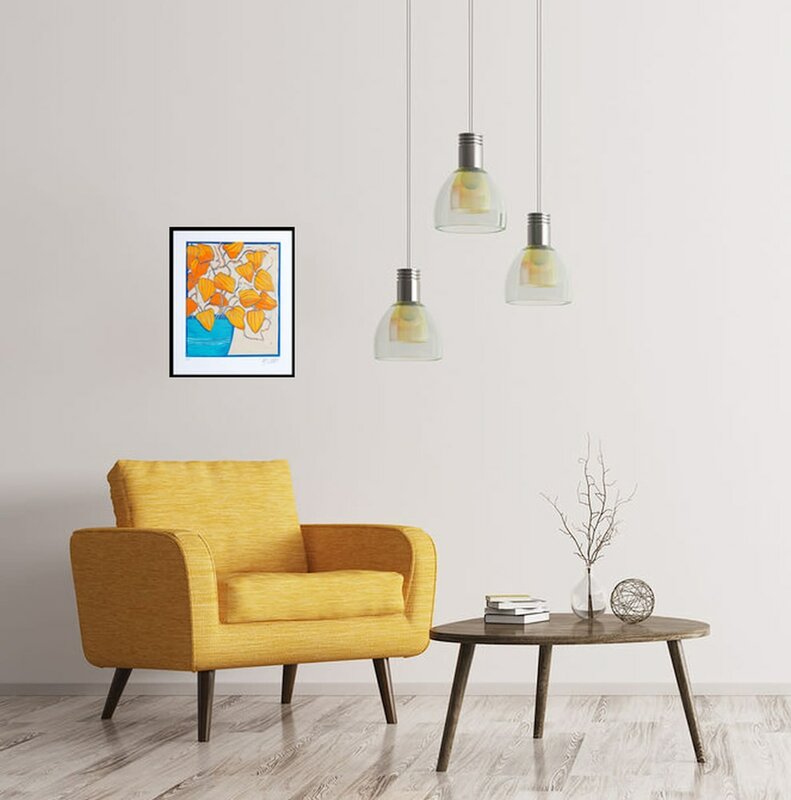 Vibrant Chinese Lanterns, a limited edition (10 prints) linocut reduction. 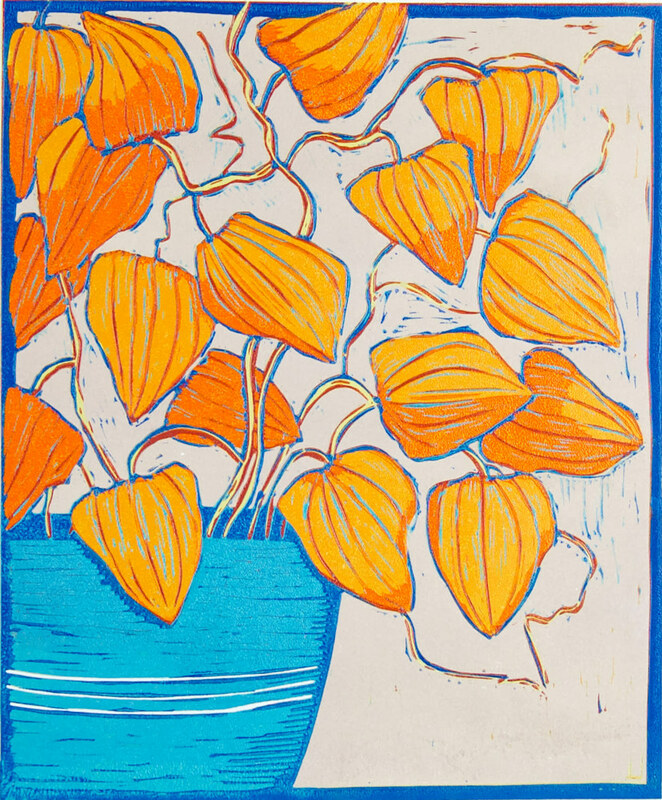 I am absolutely in love with the vibrant oranges of the Chinese Lanterns, they keep the garden alive the whole winter, take pride of place inside, and are a source of constant sunshine, what more can you ask of a plant? 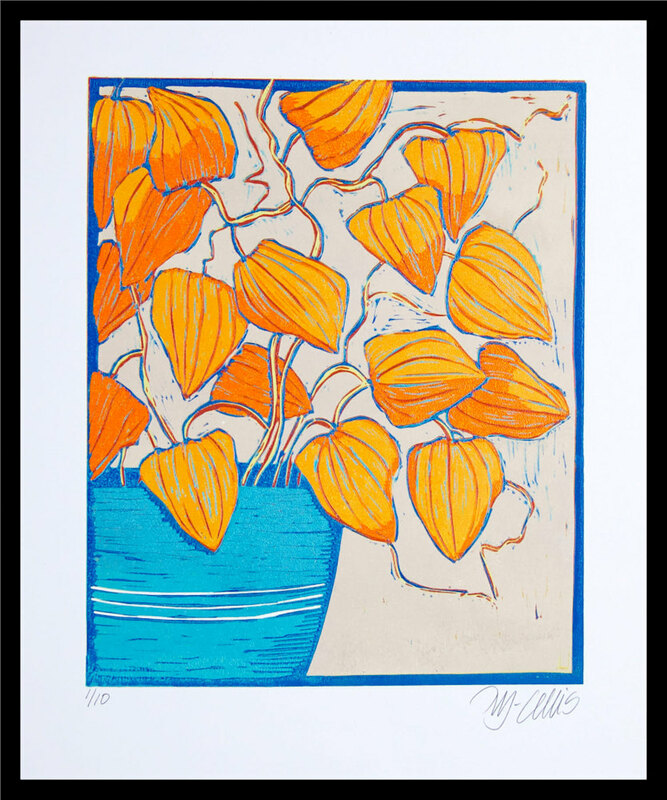 Here I have put them in a bright blue jug, to really make the orange colors pop.